Industry veteran brings more than 23 years of experience in sales, service, product development, and management. 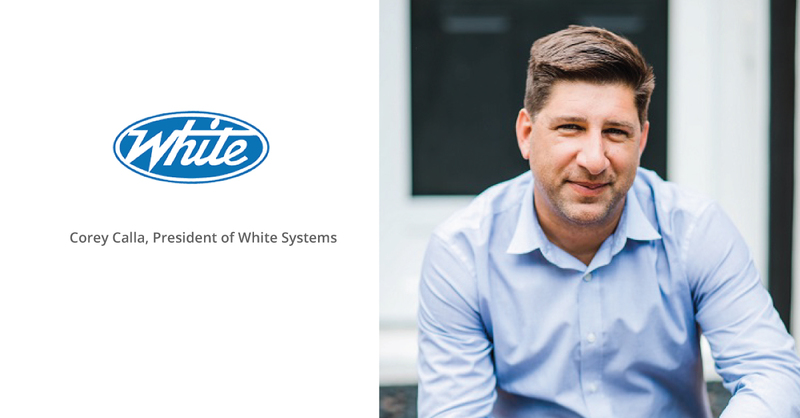 SencorpWhite, a global leader in end-to-end solutions for automated packaging, integrated AS/RS systems, and warehouse automation software, has announced that Corey Calla has assumed the role of president, effective October 1, 2018. White is a provider of integrated inventory management systems, high-density storage solutions and storage and retrieval systems for the hospital pharmacy space, manufacturing, distribution and fulfillment, aerospace, in-store pickup and military point-of-use solutions. As the new president, Calla has responsibility for White Systems, including the operations of the InTek and Minerva Software divisions, both recent strategic acquisitions. Calla is also leading the customer service initiatives for SencorpWhite and its product offerings including thermoforming, sealing and automated storage equipment, based in Hyannis, Mass. Calla will report directly to SencorpWhite’s CEO Brian Urban. Calla has held various leadership positions at Honeywell Intelligrated over the past 23 years and has extensive experience in sales, service, product development and management. He has led the introduction of many initiatives to develop new products, enhance customer experience, and streamline business systems. He has also designed and developed a cloud-based suite of applications to expedite service and support and managed a 40-person strategic sales team with exceptional results.